Lagos stops work on Lekki gardens new estate – Royal Times of Nigeria. The Lagos State Government on Tuesday ordered the management of Lekki Gardens to stop further constructions in its Phase 3 estate, at Olokonla area, Lekki. The government who tagged the construction as illegal development, asked the management of Lekki Gardens to provide evidences of approval on the floors of buildings erected in the estate. It accused the firm of encroaching on the areas reserved for green environment in addition to erecting beyond the floors of buildings approved by the Lagos State Physical Planning Permit Authority, LASPPPA and the Lagos State Building Control Agency, LASBCA. LASPPPA General Manager, Mr Remi Oni-Orisan, speaking after a joint inspection tour of the agencies to Lekki-Epe axis said most buildings found on the estate belonging to Lekki Garden were built in contravention with the approved plan while some were erected without approval at all. He said; “There is a lot of infractions in the estate. For instance, where you are supposed to have a block of one unit, there are more than that and where there shouldn’t be anything to at all, they have erected block of flats. From what we saw on the site, what Lekki Gardens is building is over building and over density but before we can reach a conclusion, we have to match what was built in comparison with what was actually approved for the firm. “We have given the ‘stop work’ order to the firm on its ongoing structures so as not to compound to the problems identified on the site. 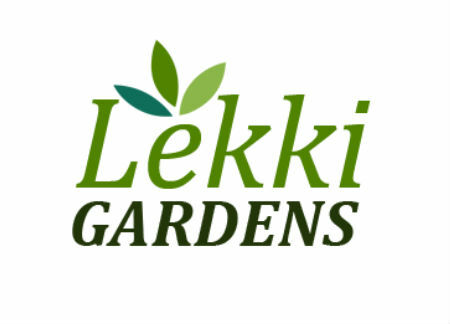 Thereafter the management of the Lekki Garden will be invited with the resident associations in the state. They have been ordered to stop work pending investigations,’. Warning all estate developers along the Lekki axis to regularise their papers before the government begins to clamp down on them, he said; “the government agencies are out again on extensive monitoring and enforcement of the law along the axis with a view to ensuring safety of the unsuspecting tenants and buyers of the houses on the axis”. He said; “We will not stop until people start to comply due to issue of safety concern, the need to comply with the approval. There must not be departure at all on the issue of approved plan and what is being erected. If you are departing at all, you revert to the government to help you take a look at the plan whether it is approvable but you cannot single-handedly change approved lay out,”. He said the soil in the areas could not be compared with other areas in the state as the state was bent at ensuring the safety of the residents.